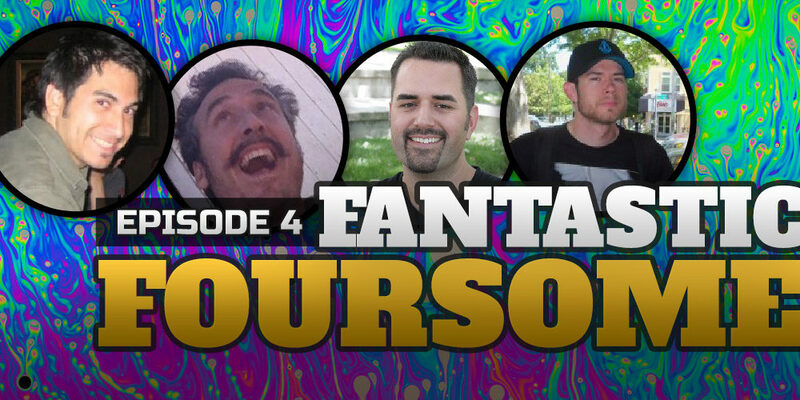 Episode 4 is the first part of our 4 hour long recording session! It was such a long episode with so much content we had to cut it up, so your about to listen to part one. We hit the road up to Auburn, CA for this “Fantastic Foursome” so we could talk Ronnie’s brother Matt Roper and long time bro-friend Ethan Noto. We talked about growing up, scary driving stories, moms breastfeeding, how Ethan moved in, concussions, parties, art and design and passions. We loved reconnecting and hope you enjoy our stories! If you enjoy this episode look for episode 5 next the part 2 continuation of this episode. Ethan lives in Auburn, CA and owns END Studio where he can design and create just about anything you can think of from wood, metal, glass, stone and even leather. You have to check out his work. Matt is an artist that works in various mediums. His latest passion is geared toward ceramics. He has some badass pieces and everyone should check his stuff out. He’s been posting a lot of drawings on Instagram so check that out also.